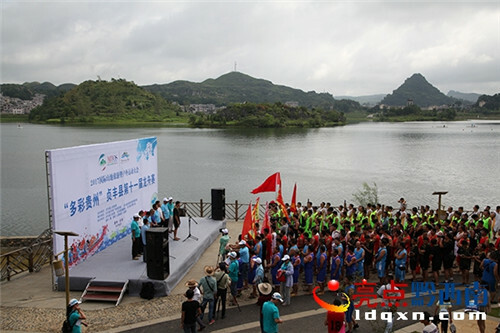 Zhenfeng county in the Qianxinan Bouyei and Miao autonomous prefecture held its 11th dragon boat competition on Aug 7. 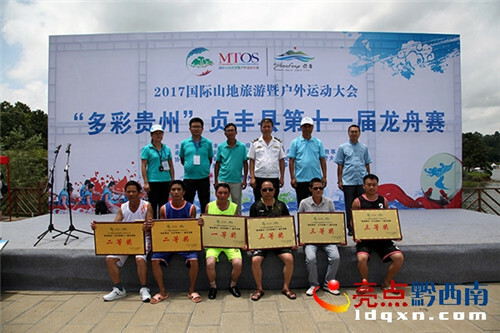 Fourteen teams from towns and villages across the county took part in the competition. After a fierce competition, the team from Shaping town won first prize. 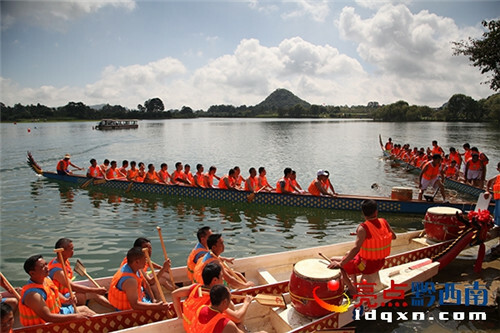 The watercraft were decorated with traditional Chinese dragon heads and tails to add a ritual atmosphere to the event. 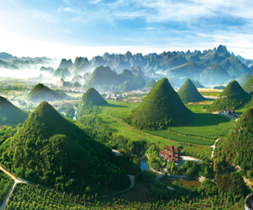 The competition was also held as a warm up for the upcoming 2017 International Conference of Mountain Tourism and Outdoor Sports to be held in Qianxinan from Aug 15 to 16.